Yeah! 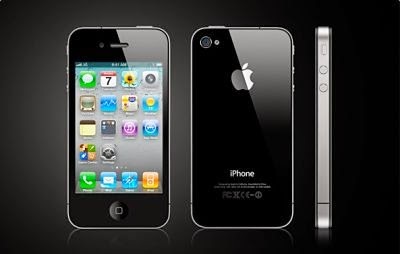 Its true that apple has decided to stop selling one of the mobile phone by the apple that is named as "Iphone 4". Tech Web World is here to let you know that apple iphone 4 will not be available anymore in any of the market in the world. One thing I would like and need to be remind that it is not the first time for indian,brazil and few other asian markets because Apple was already discontinued the sales of Iphone 4 a time ago and was then restarted selling the mobile phones in the markets in january but after a quarter they decided once again to move it back from the market but this time it will be no longer available in any of the market! There are a few news comes to us regarding this question from different sources, referring to TOI, One of the firm's partner said that the're going to stop selling the product in india cause they served their purpose which was "To double the users of iphones in india". While the other also claimed that they also stopped sending new fresh iphone 4 phones to many other markets in the world including Brazil and China etc. According to an other resource we got an explanation of a retailer that “a technical issue” (read: poor iOS 7 performance on the lower-specced handset) prompted Apple to withdraw the iPhone 4. But here may be so many other reasons that the company might stop selling fresh items on the market. I guess one of them is may be the competitors in the market as there are others in the market so they felt that it is better to remove this from the market. Other, is to increase sales of other new iphones. It may also the reason that if they got their target in case they had set a target of sales and which may completed! Still, it totally on the company itself because they know the actual reason but the above were my own thoughts and guesses which may be totally wrong! Everyone has their own and different than others thoughts, I would like to hear from you,what reason do you think may be the actual reason so that they are going to shift back the iphone 4 from the market? We will be waiting for your valuable comments, each comment will be appreciated related to this post! Also please share this post on your social profiles and help us to grow our readers on the web!